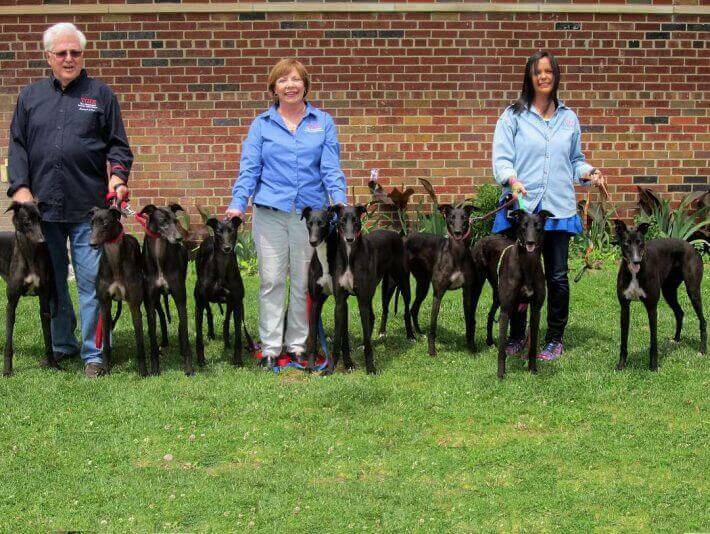 Every year, American Greyhound is committed to finding forever homes for a loving pack of black beauties that have gone through The Greyhound Inmate Experience (TGIE). TGIE partners newly retired hounds with specially trained dog handlers over a ten week period to help the hounds adjust to life as a pet. In just a few short weeks, this special group of hounds will be paroled and ready for their forever home. We will be providing updates of last year’s Back in Black crew via social media throughout the rest of June, leading up to the new group’s parole date, on June 29. Check the doghouse for information on the next member of your power pack, and fill out an adoption application today! We are always in need of foster homes for both incoming TGIE graduates and retirees straight from the track. If you’d like to be part of helping a hound to their happily ever after, contact Nicole Graves at foster@americangreyhound.org.